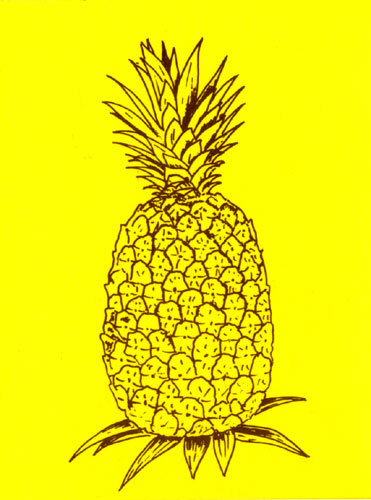 These decals were placed on Maui Pineapple Co. vehicles in the 1960s to identify them for entry into the pineapple cannery complex. The decal color was changed to orange in 1970. 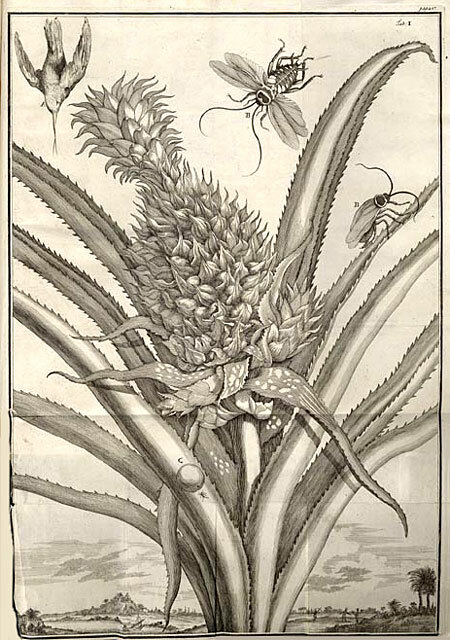 This plate is from Christopher Jacob Trew’s Plantae Selectae (Nuremberg, 1750-73), which was illustrated by Georg Dionysius Ehret. 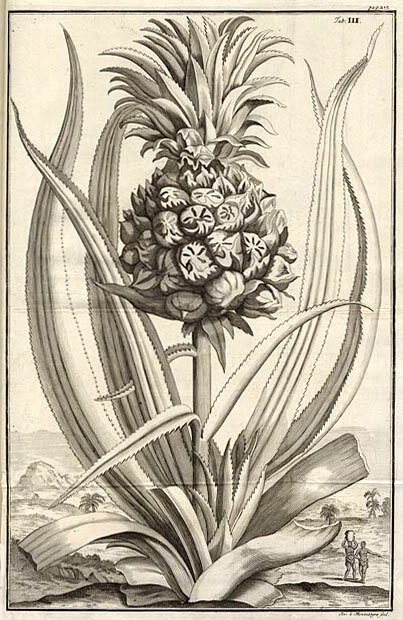 “Georg Ehret was one of the finest flower painters in 18th century Europe, and his work still stands as a preeminent accomplishment of European botanical art. Born in Heidelburg to a market gardener, Ehret began his working life as a gardener’s apprentice, eventually becoming a chief gardener for the Elector of Heidelburg and the Margrave of Baden, whose prize tulips and hyacinths he painted. 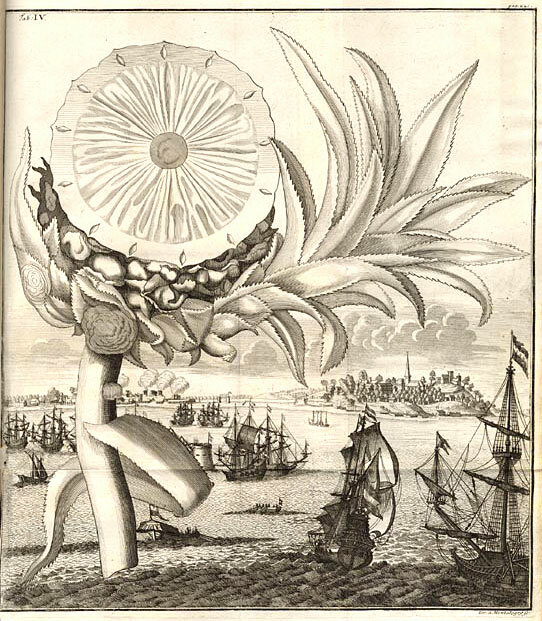 “Ehret soon moved on to a number of cities across Europe, collecting eminent friends and important patrons as he traveled. Ehret’s list of benefactors includes the most brilliant and generous amateurs of his day, among whom was Dr. Christoph Trew, a wealthy Nuremburg physician who became his lifelong patron, friend and collaborator. 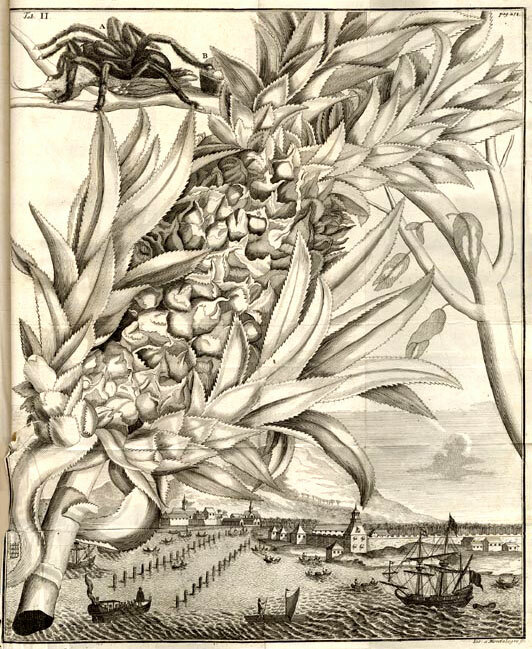 Ehret also gained the admiration of Bernard de Jussieu in Paris, and the great Swedish naturalist Linnaeus. In England, where he eventually settled, Ehret became the only foreigner to be elected a Fellow of the Royal Society. 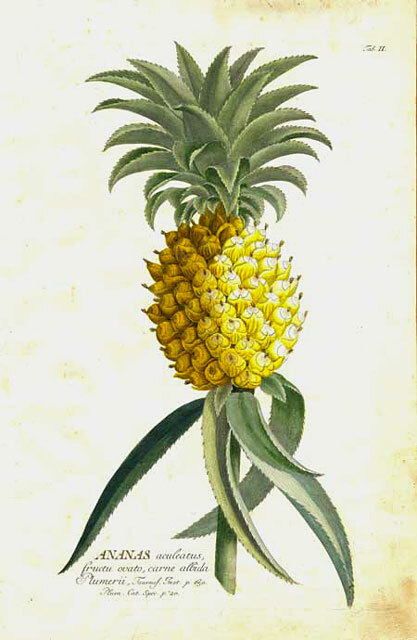 The first illustration of a pineapple in the New World appeared in 1535 in the 19-volume La Historia general de las Indias by Gonzalo Fernández de Oviedo y Valdés.